Matching with the needs of the clients, we offer Pomegranate Seed Oil. Pomegranate Seed Oil is extremely rich and nutritious oil, which may be used for internally or externally for its cosmetic and medicinal properties. Pomegranate seed extract and juice have been popular lately for their anti-oxidant properties, and Pomegranate Seed Oil is proving to be even more beneficial. Pomegranate Seed Oil is used to heal, protect, and moisturize dry, cracked, mature, and irritated skin, bring elasticity back to the skin, and for eczema and other skin problems. Not only does Pomegranate Seed Oil contain high levels of anti-oxidants that fight free radicals and skin aging, but the oil is also a potent source of punicic and ellagic acids. Pomegranate seeds yield a drying oil which contains Pucinic acid forming up to 72% of the fatty acid. Pucinic acid is conjugated triene and geometrical isomer of elaostearic acid. Oil possesses Antibacterial properties. 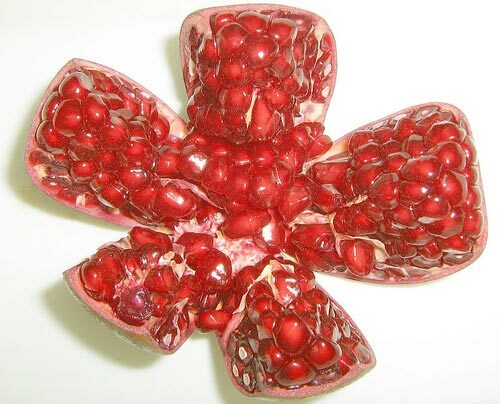 Pomegranate (Punica Granatum) is now well known for antioxidant properties. With recent researches the Pomegranate Seed Oil has been found to be of help prevent the formation of skin cancer by reducing the frequency of lesions and limit the occurrence of tumors.